Many disease processes manifest either primarily or secondarily by cranial nerve deficits. Neurologists, ENT surgeons, ophthalmologists and maxillo-facial surgeons are often confronted with patients with symptoms and signs of cranial nerve dysfunction. Seeking the cause of this dysfunction is a common indication for imaging. 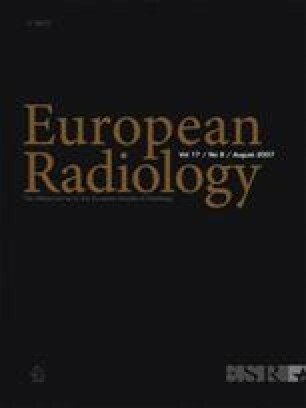 In recent decades we have witnessed an unprecedented improvement in imaging techniques, allowing direct visualization of increasingly small anatomic structures. The emergence of volumetric CT scanners, higher field MR scanners in clinical practice and higher resolution MR sequences has made a tremendous contribution to the development of cranial nerve imaging. The use of surface coils and parallel imaging allows sub-millimetric visualization of nerve branches and volumetric 3D imaging. Both with CT and MR, multiplanar and curved reconstructions can follow the entire course of a cranial nerve or branch, improving tremendously our diagnostic yield of neural pathology. This review article will focus on the contribution of current imaging techniques in the depiction of normal anatomy and on infectious and inflammatory, traumatic and congenital pathology affecting the cranial nerves. A detailed discussion of individual cranial nerves lesions is beyond the scope of this article.